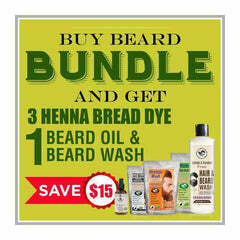 Absolutely love the brown bundle henna dye and the aloe shampoo & conditioner. Fully covered my grays & left my hair silky & shiny. I love that my grays look like I highlighted my hair with chocolate/auburny tone. My sister in law is a hair dresser & she applied the product, she was very impressed with my results. I will definitely be a repeat customer. Thank you Henna Guys for your spectacular products & excellent customer service, you have exceeded my expectations. Very happy with this bundle. Quality, shipping and price all fine. To be honest this bundle posses everything for a proper hair treatment in order to drive the best results. Simply great products. And in very low price as compared with the quality. Speedy delivery. I would say best services all in all. Lavender and Geranium Shampoo and Fragrance-free conditioner by The Henna guys are at the top. Buying more.